Leaders have a responsibility to embrace the spirit of the armorbearer who is serving them. This allows a smoother approach when having “water poured on their hands.” Leaders must relate to their armorbearers in the Spirit and not in the flesh. True armorbearers carry an anointing upon their lives. In order for a leader to properly maximize and optimize that service being rendered to them by their God-appointed assistant, they must properly embrace the spirit that person carries. 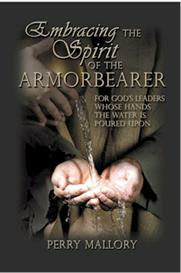 This ebook is an attempt to educate and inform those whose hands water is poured upon about the life, spirit and calling of a true armorbearer. Keep in mind that some of the greatest leaders of our day that are being used of God have once poured water on the hands of someone else, and because of that training they properly relate to the assistance and support that God has provided to them. Remember, true leaders are not born. They are made. True leadership is by invitation only. One part of God’s making process of true leaders is accomplished by properly relating to those that God has given to them to help.